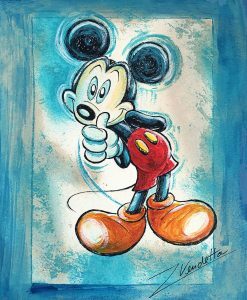 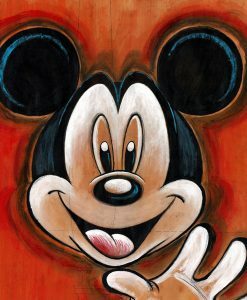 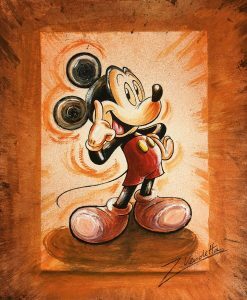 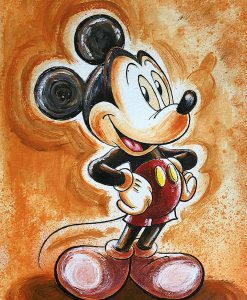 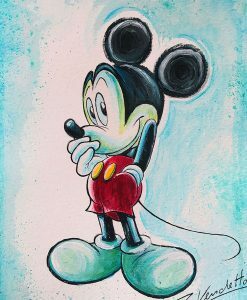 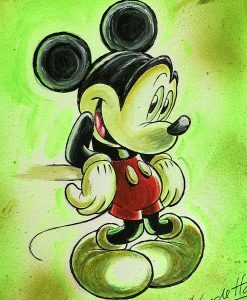 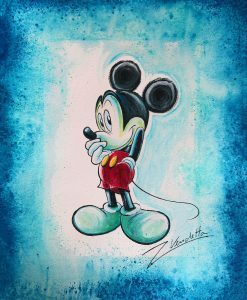 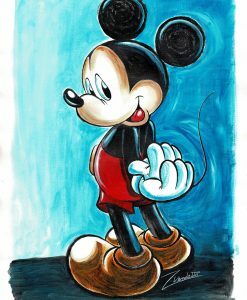 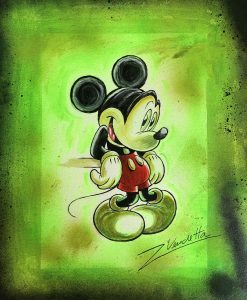 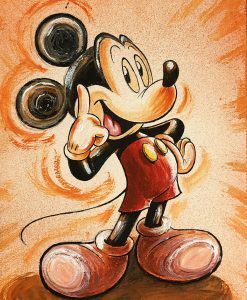 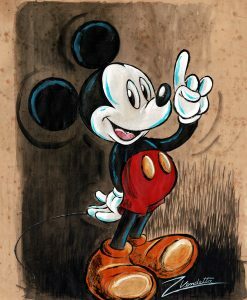 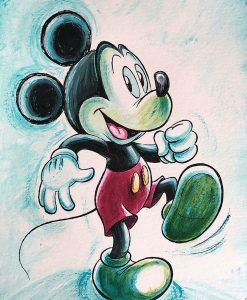 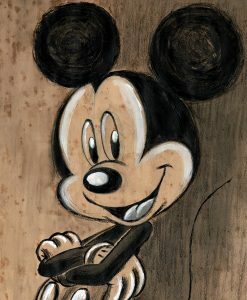 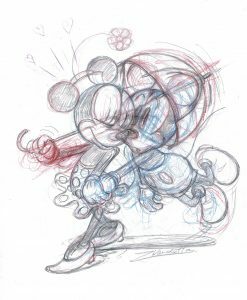 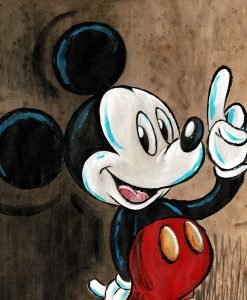 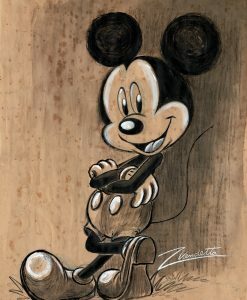 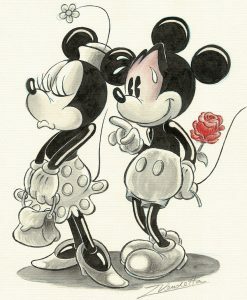 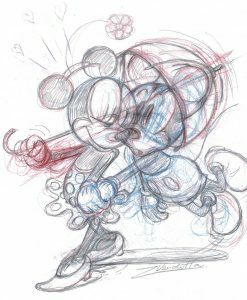 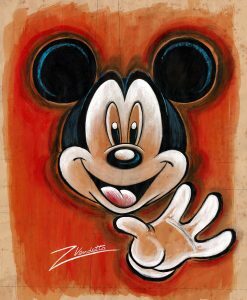 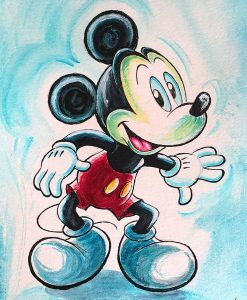 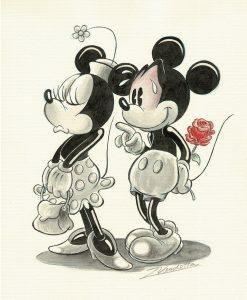 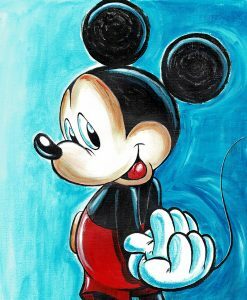 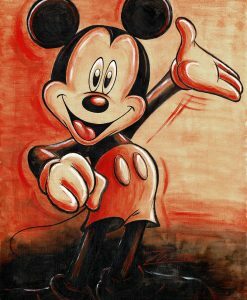 Artist JM Millet, AKA Z. Vendetta, is a Spanish artist who was for many years drawing for Disney Studios many different characters. 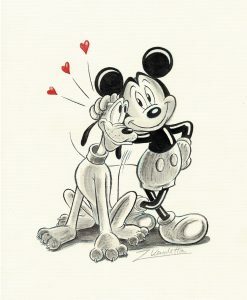 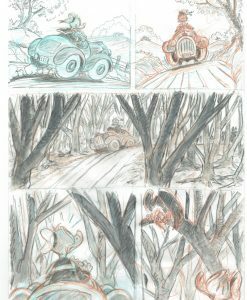 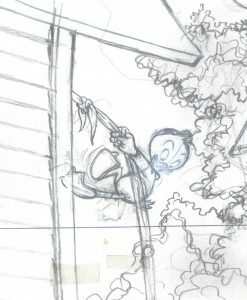 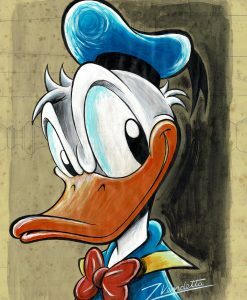 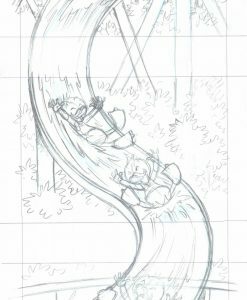 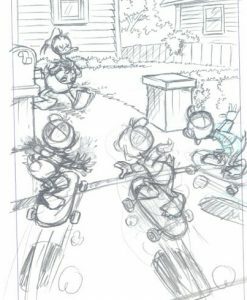 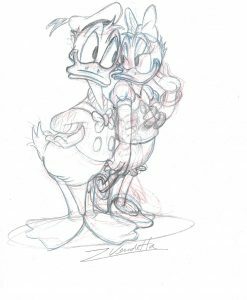 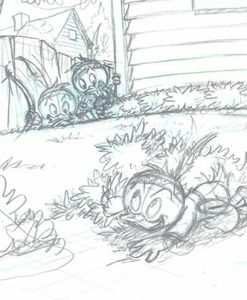 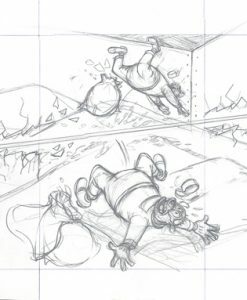 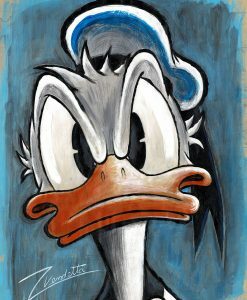 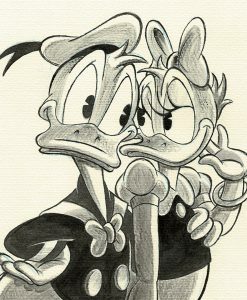 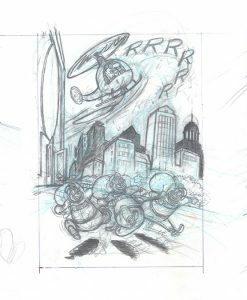 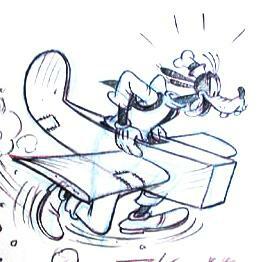 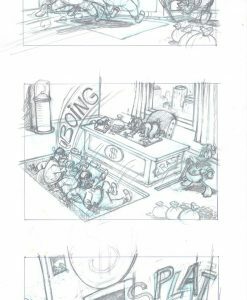 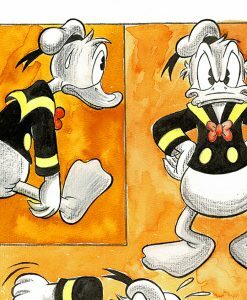 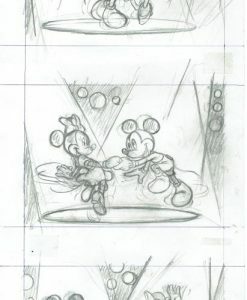 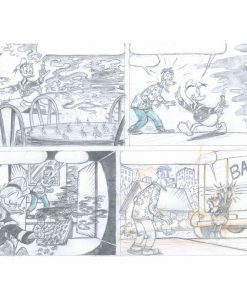 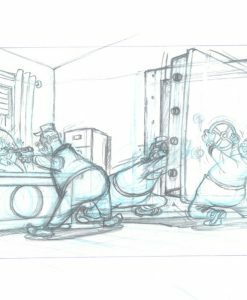 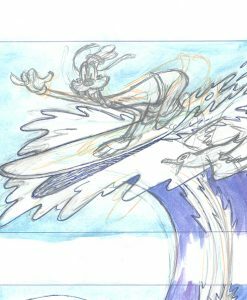 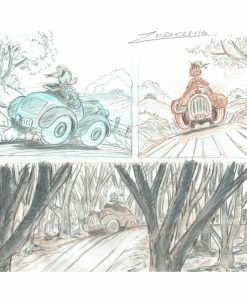 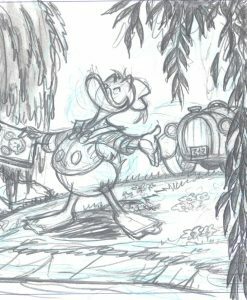 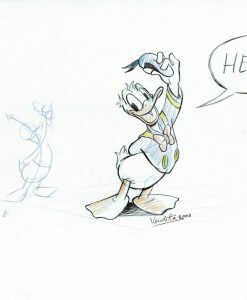 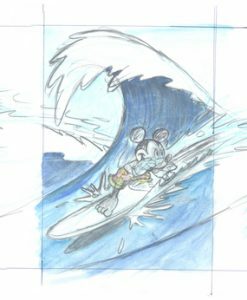 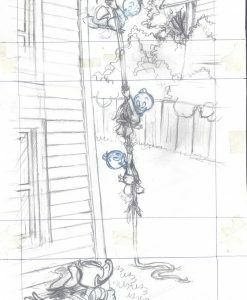 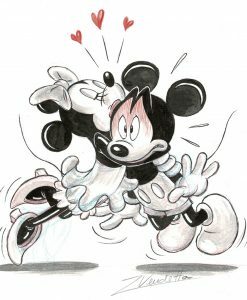 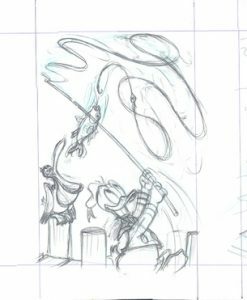 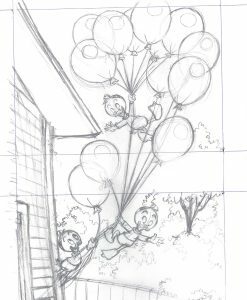 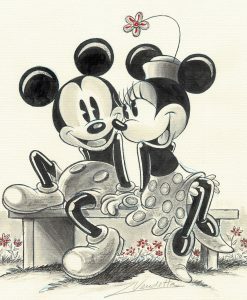 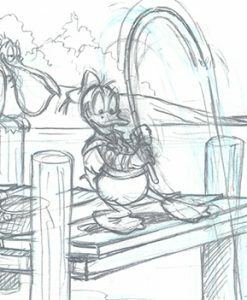 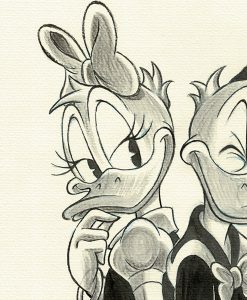 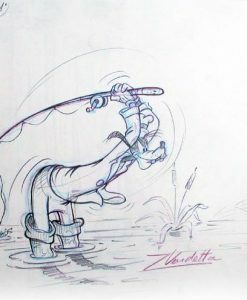 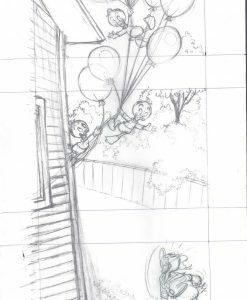 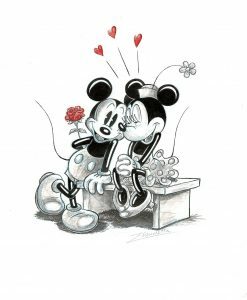 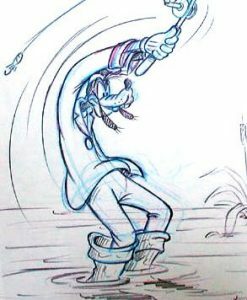 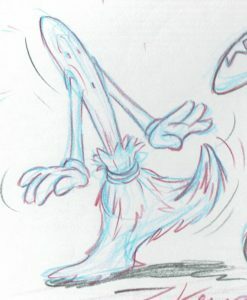 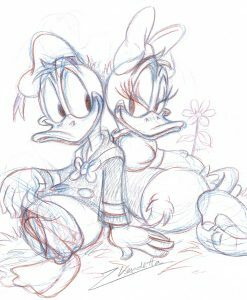 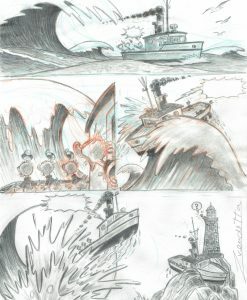 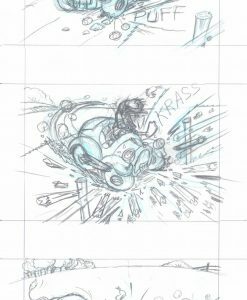 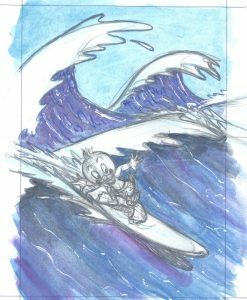 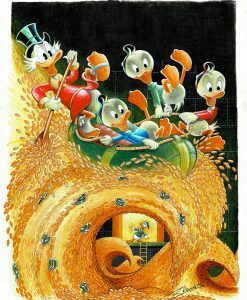 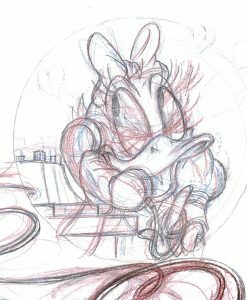 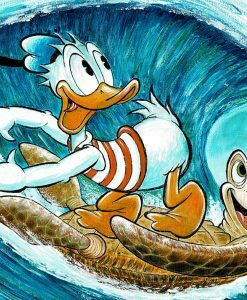 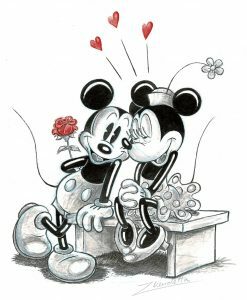 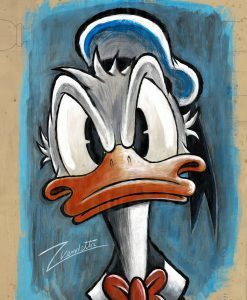 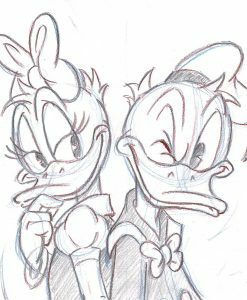 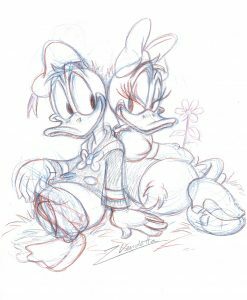 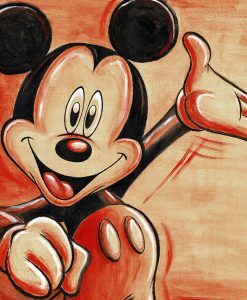 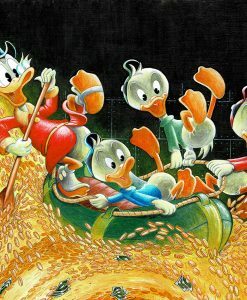 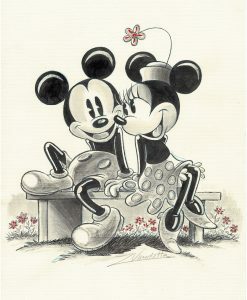 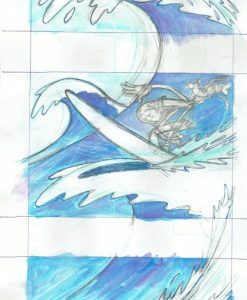 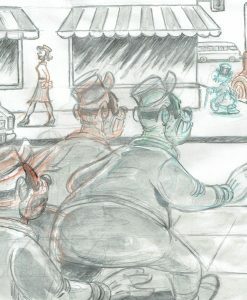 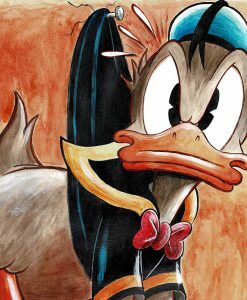 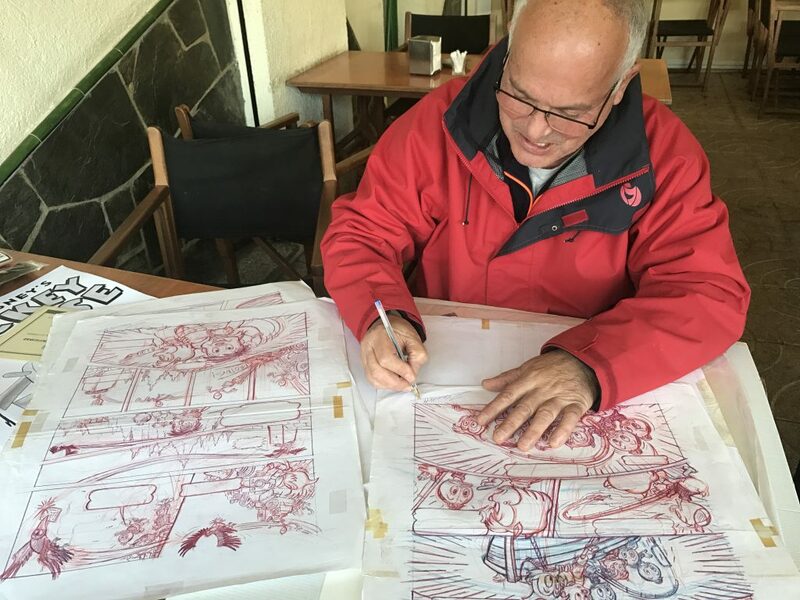 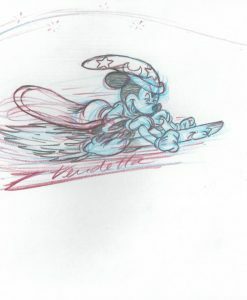 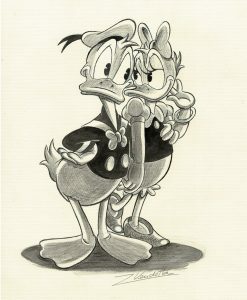 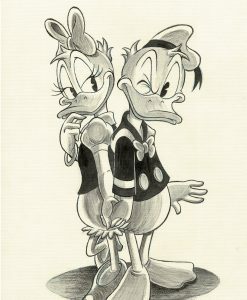 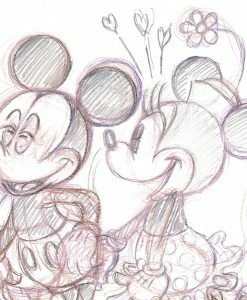 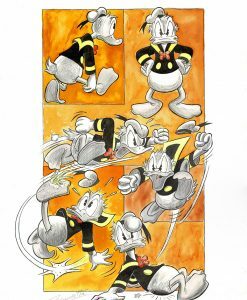 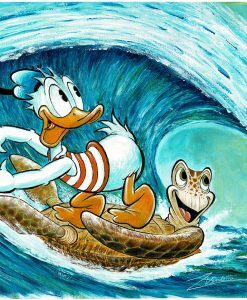 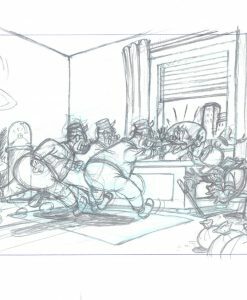 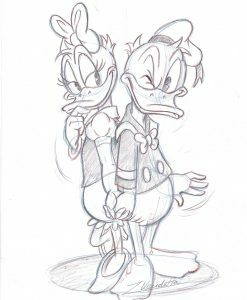 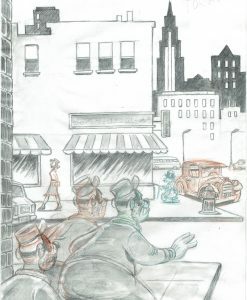 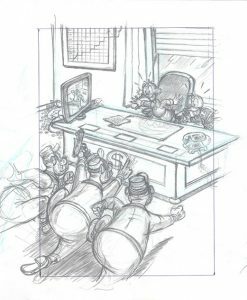 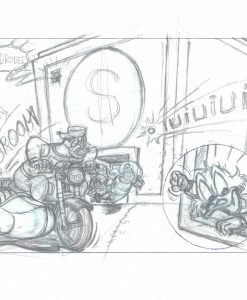 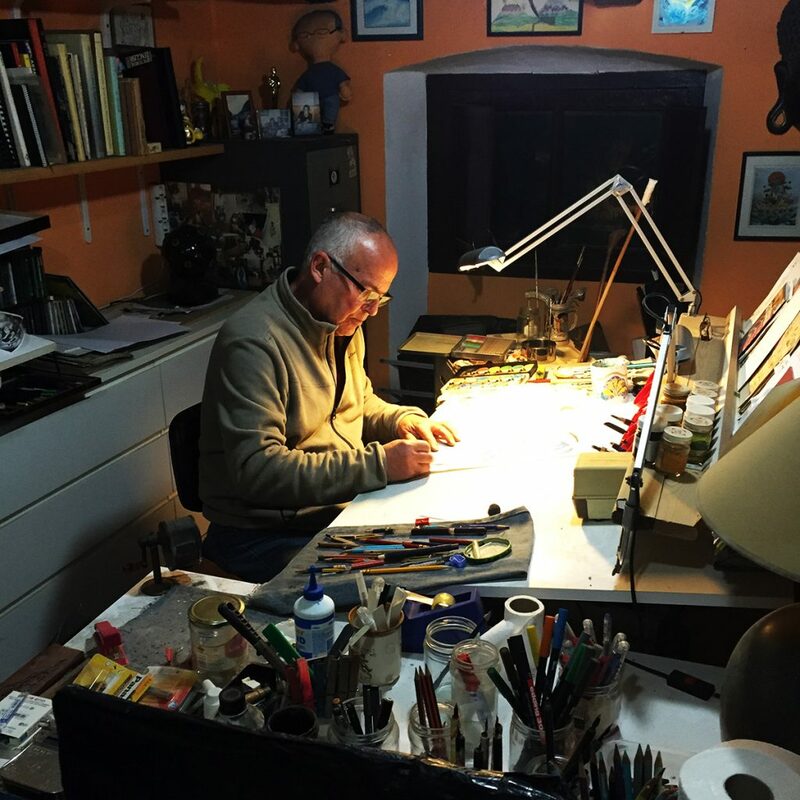 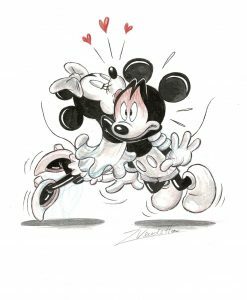 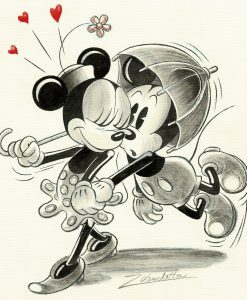 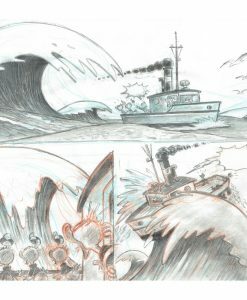 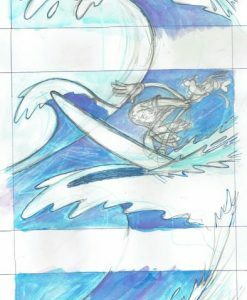 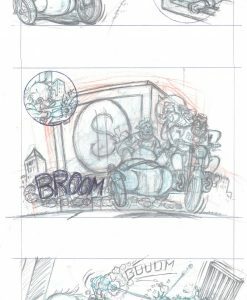 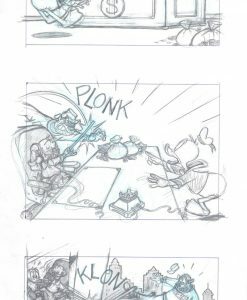 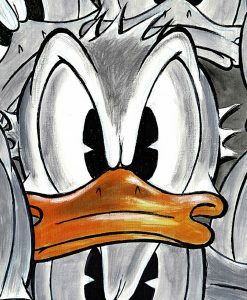 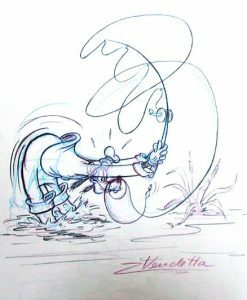 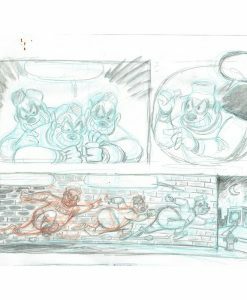 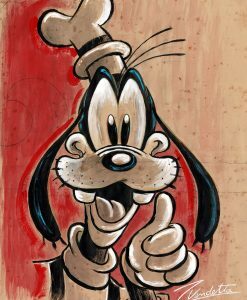 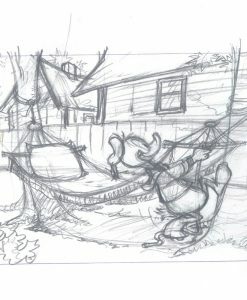 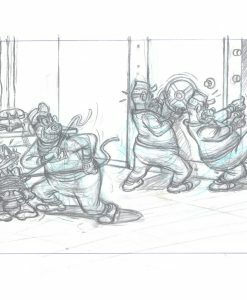 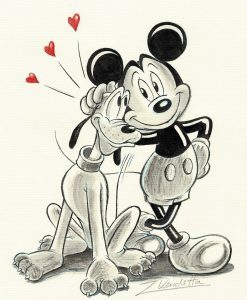 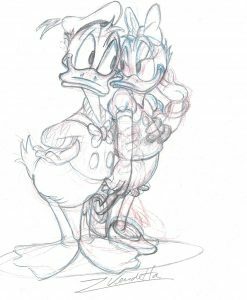 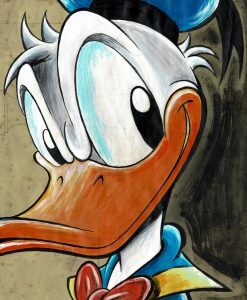 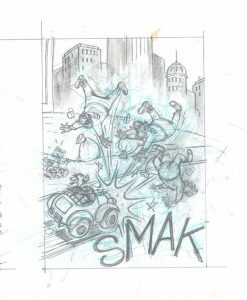 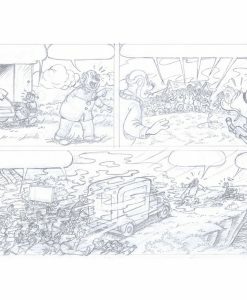 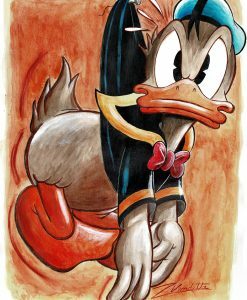 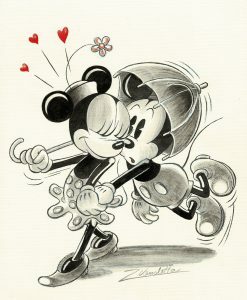 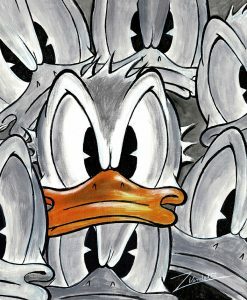 He started out illustrating many stories written by Dutch editors Jos Beekman, Ferdi Felderhof and Bas Schuddeboom for the magazine Donald Duck Junior. 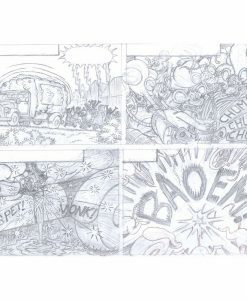 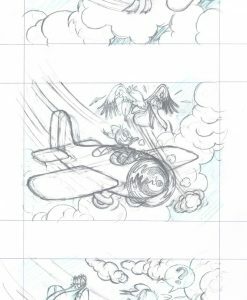 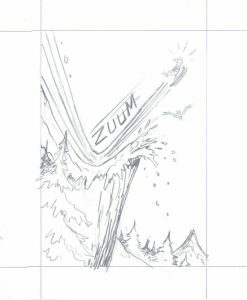 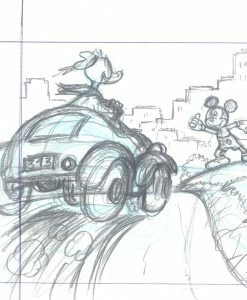 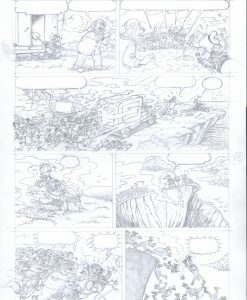 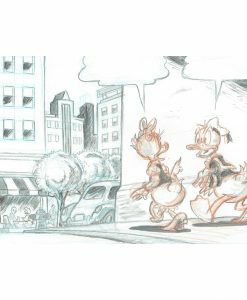 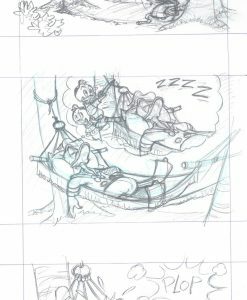 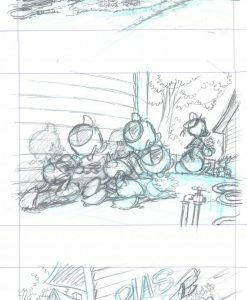 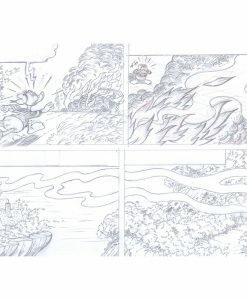 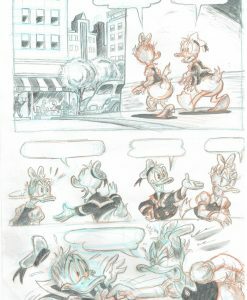 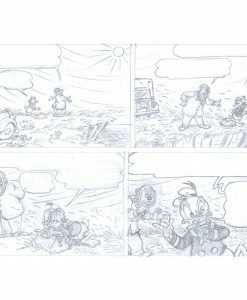 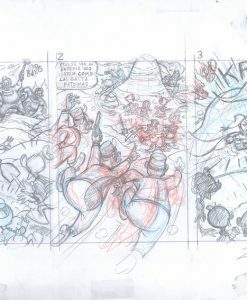 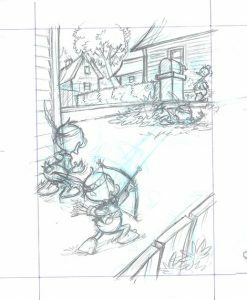 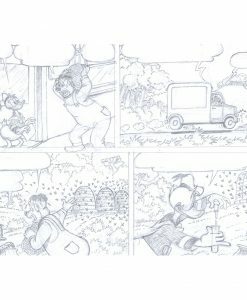 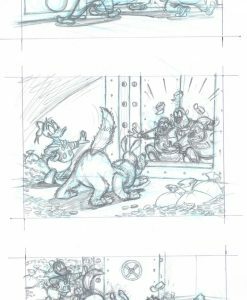 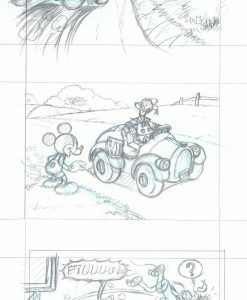 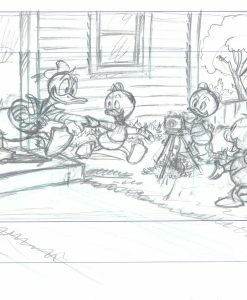 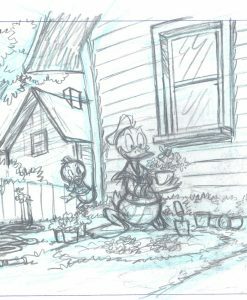 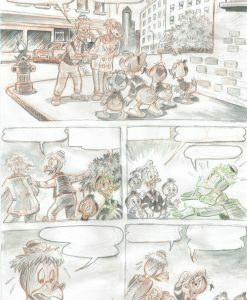 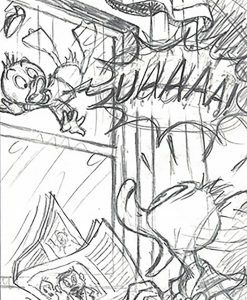 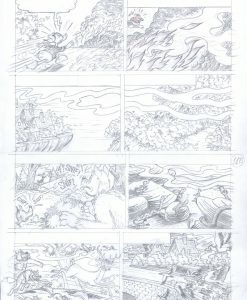 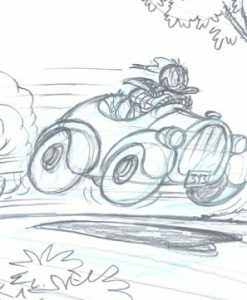 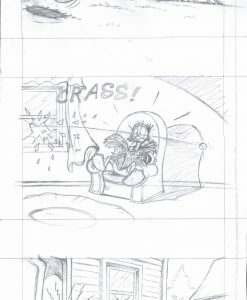 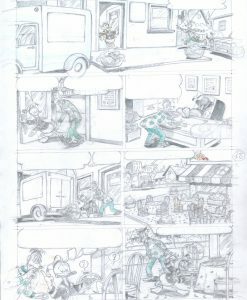 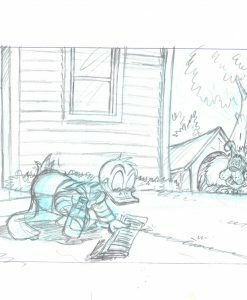 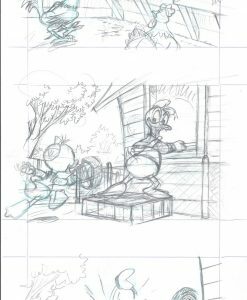 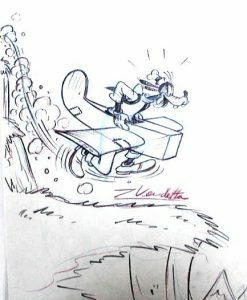 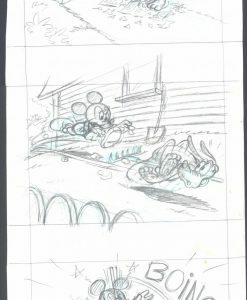 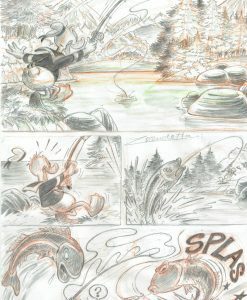 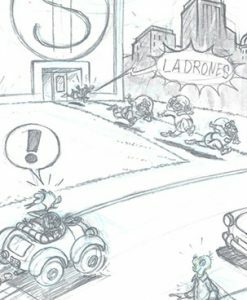 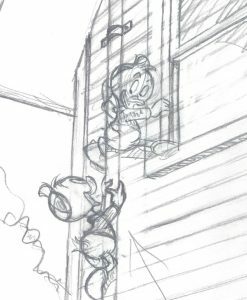 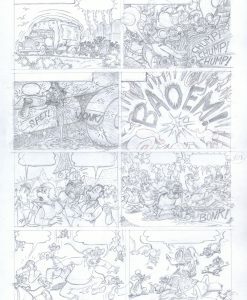 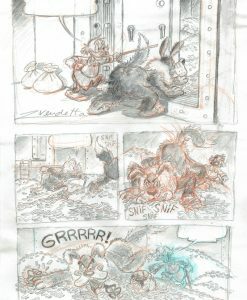 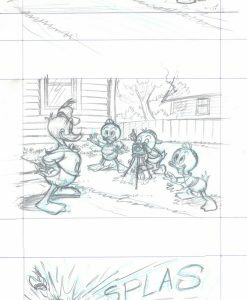 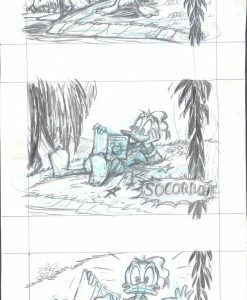 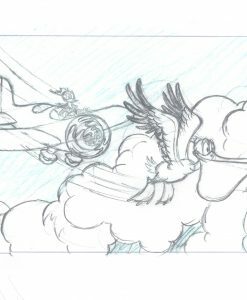 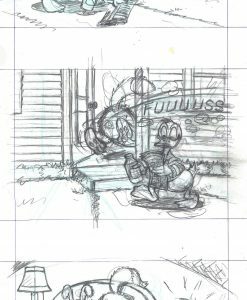 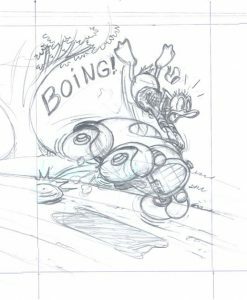 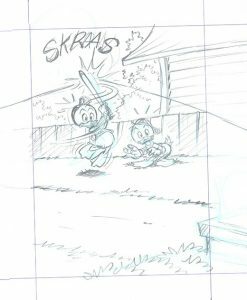 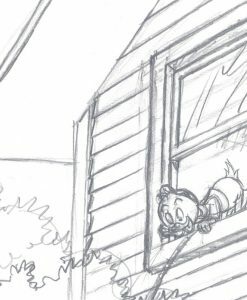 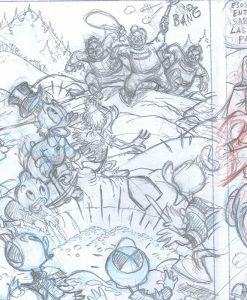 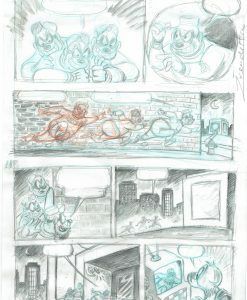 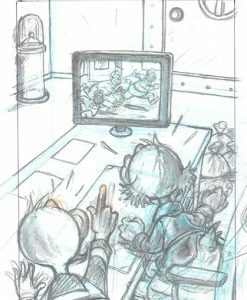 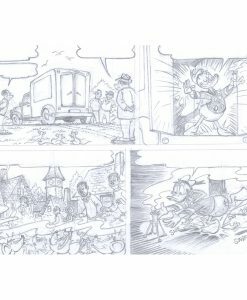 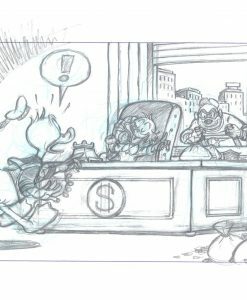 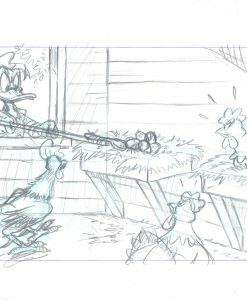 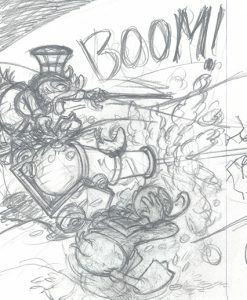 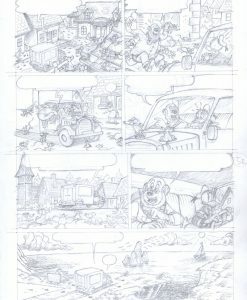 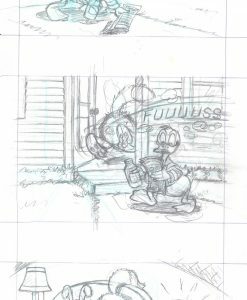 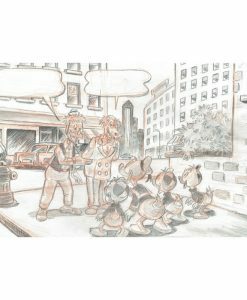 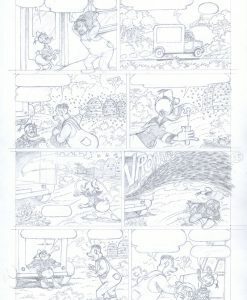 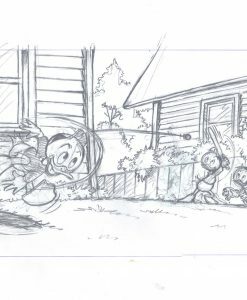 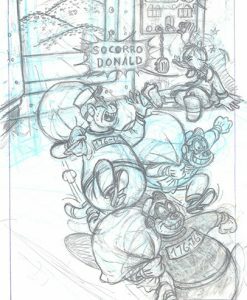 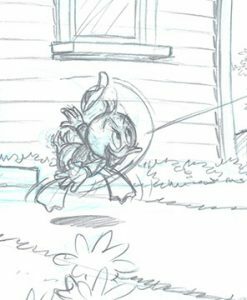 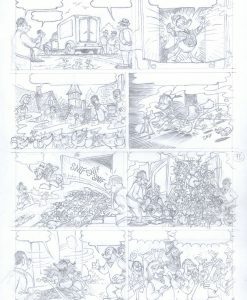 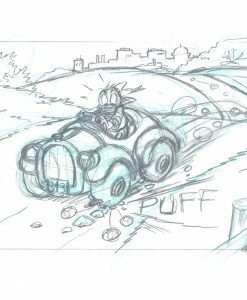 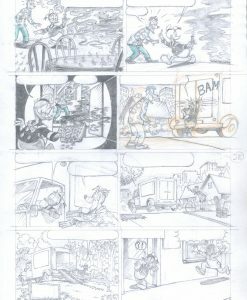 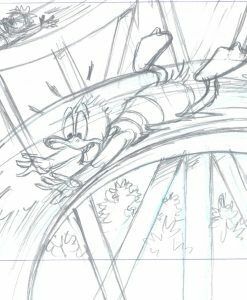 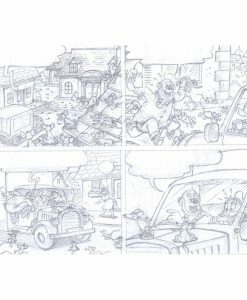 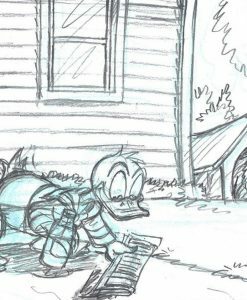 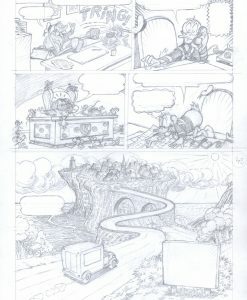 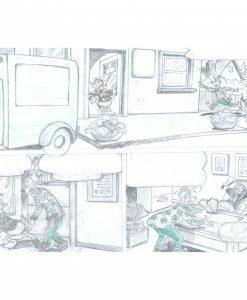 For the regular Dutch Donald Duck weekly, he has drawn stories with ‘Donald Duck’, as well as the first Dutch ‘Bambi’ story. 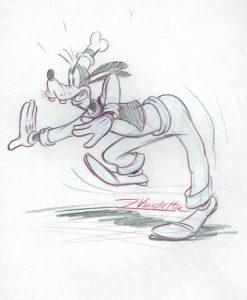 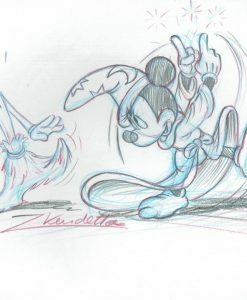 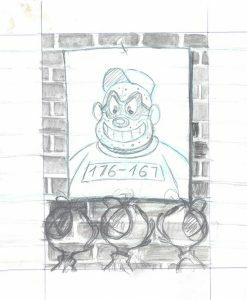 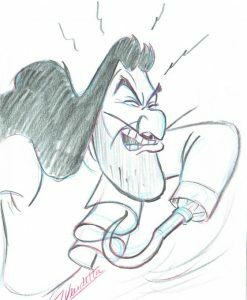 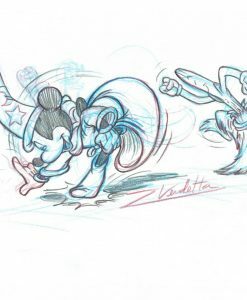 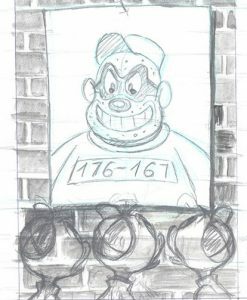 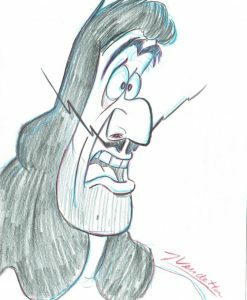 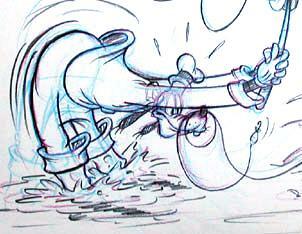 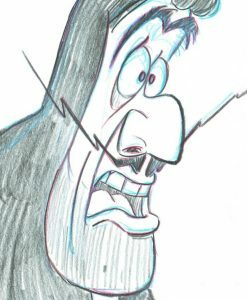 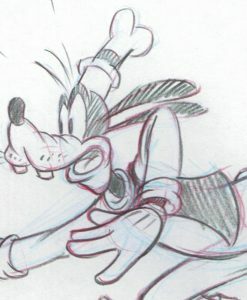 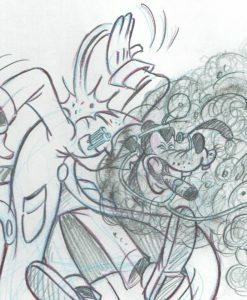 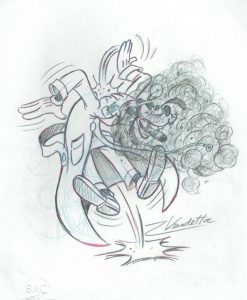 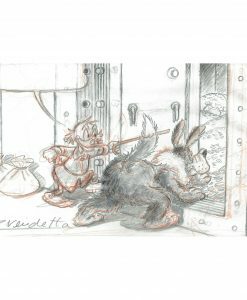 Vendetta was specialized in some specific Disney characters like Scrooge, Donald and Mickey. 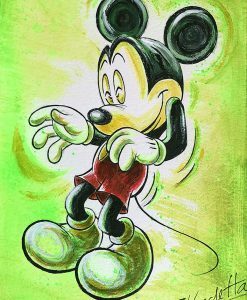 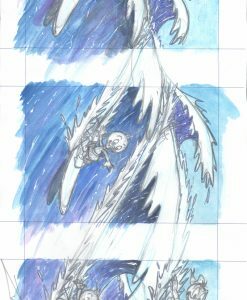 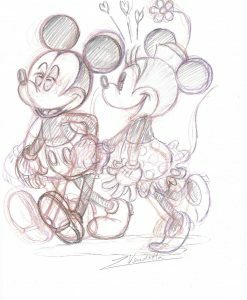 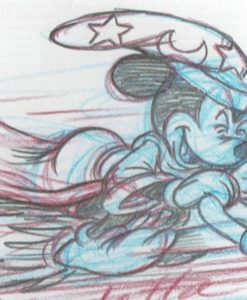 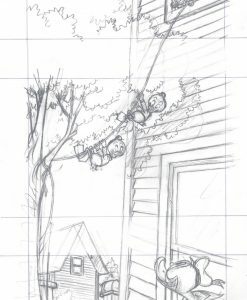 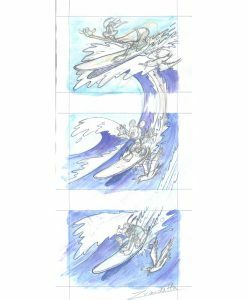 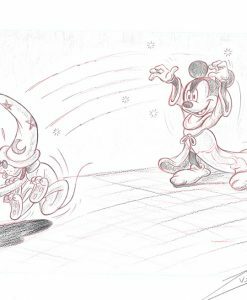 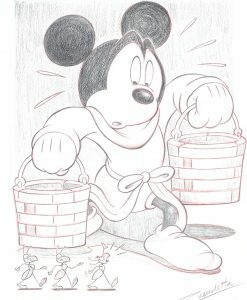 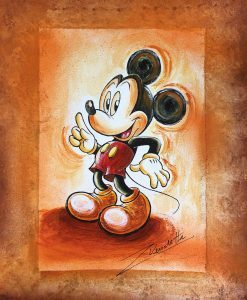 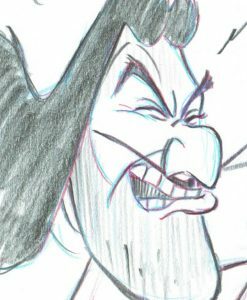 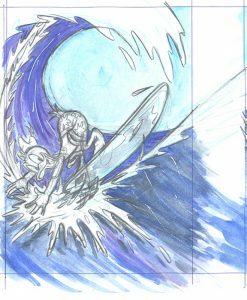 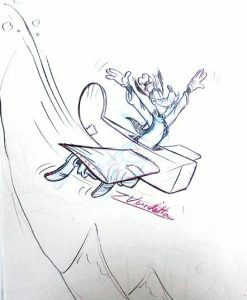 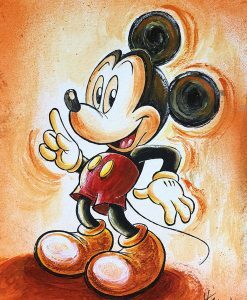 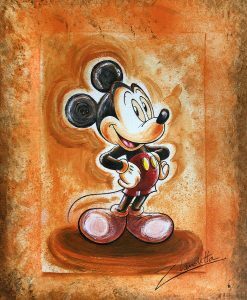 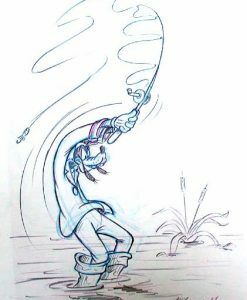 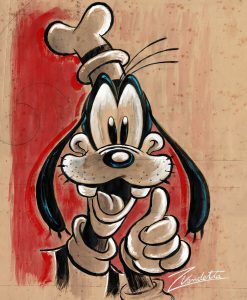 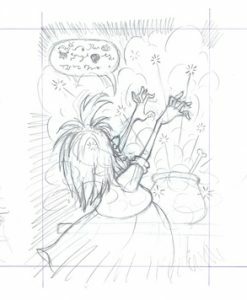 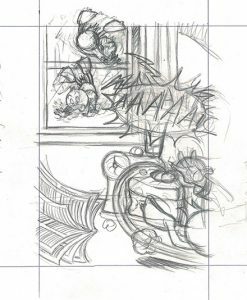 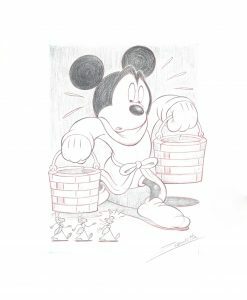 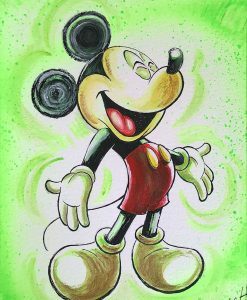 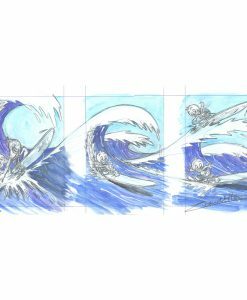 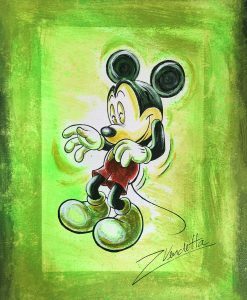 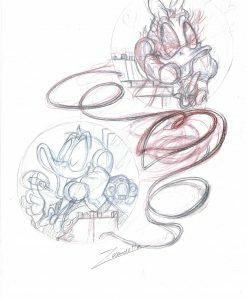 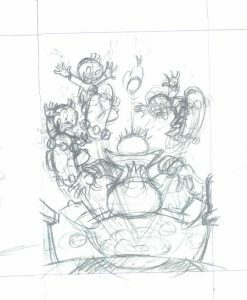 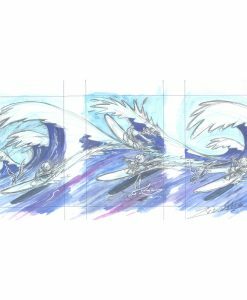 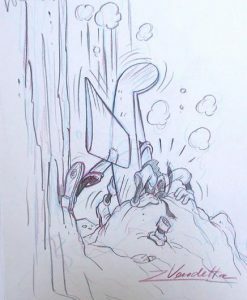 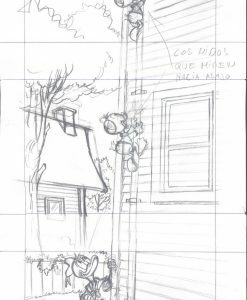 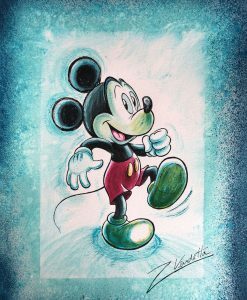 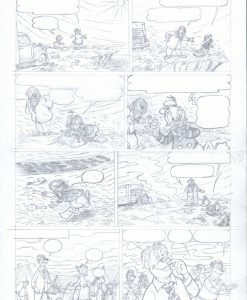 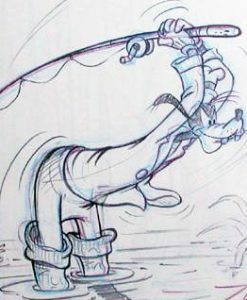 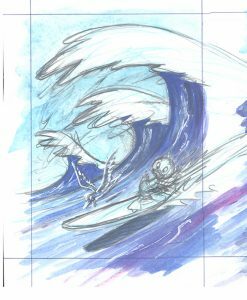 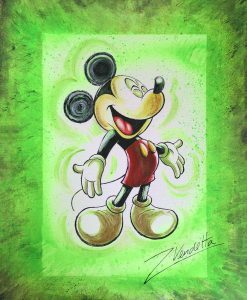 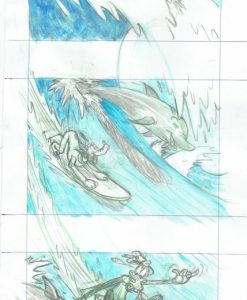 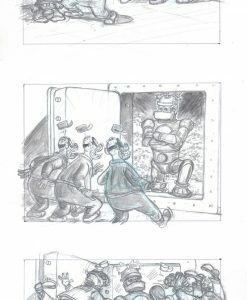 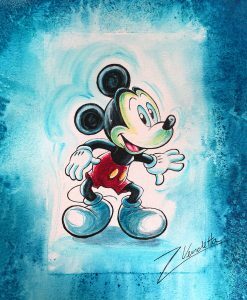 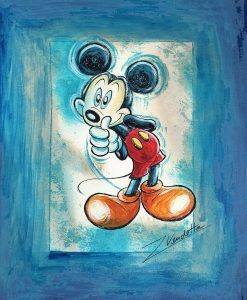 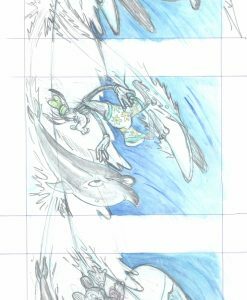 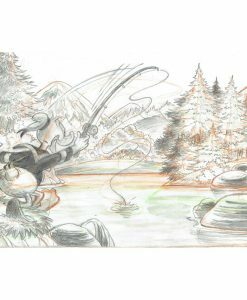 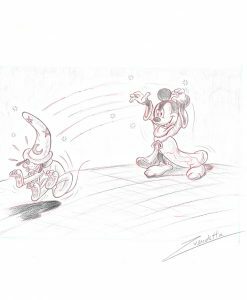 His “Sorcerer`s Apprentice” sketches are well known around the world since 1998 and are one of the most desired artworks for collectors.